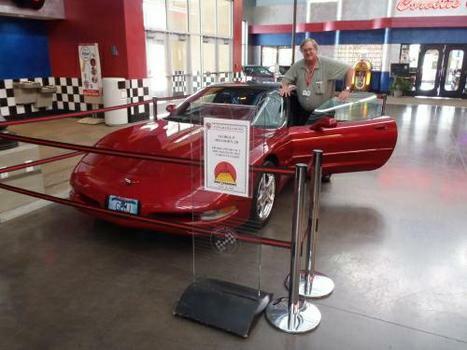 GPMJ and his 2001 Corvette after it has been displayed at the National Corvette Museum in Bowling Green Ky.
GPMJ's 2001 Magnetic Red Corvette (C5 Coupe) on display at the National Corvette Museum in Bowling Green KY, 5-21-12. 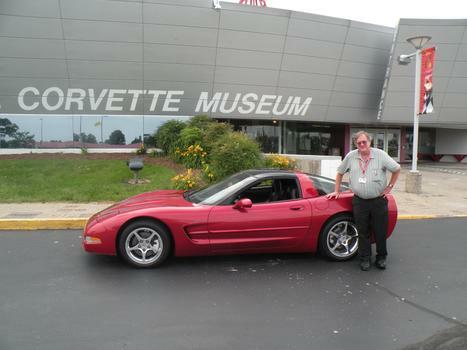 Me and my 2001 Magnetic Red Corvette at the National Corvette Museum in Bowling Green Ky.
Beautiful 'Vette. I have had the pleasure of touring the Bowling Green facility twice. It's a wonderful experience. I have been to the NCM several times and always enjoy it. It is always changing so there is always something different to see there and each time I also learn something new about Corvettes. This time I also took a VIP (one on one) tour of the Corvette plant. I learned a real lot about making Corvettes and would recommend the regular plant tour to anyone interested in Corvettes.